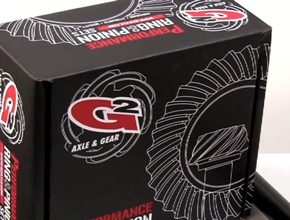 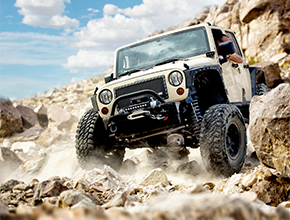 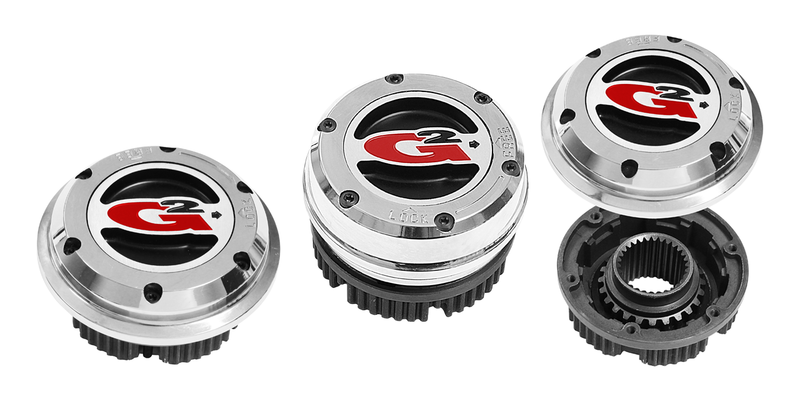 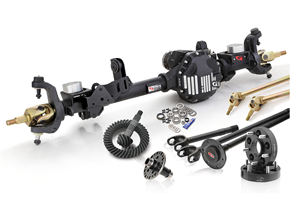 The G2 CORE BBK gives your lifted Jeep JK, with oversized tires, the braking power it needs to safely stop and be in control in mild and emergency braking conditions. 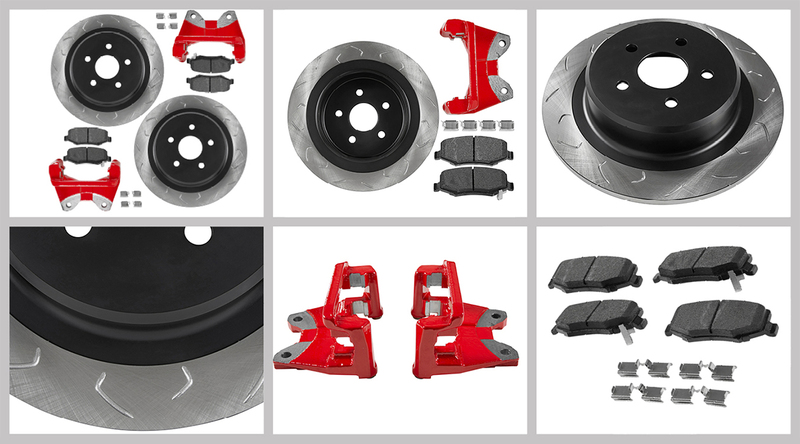 The oversized rotors along with the larger caliper brackets, extend your OE calipers further from the centerline of the wheel and creates more leverage to increase the stopping power. 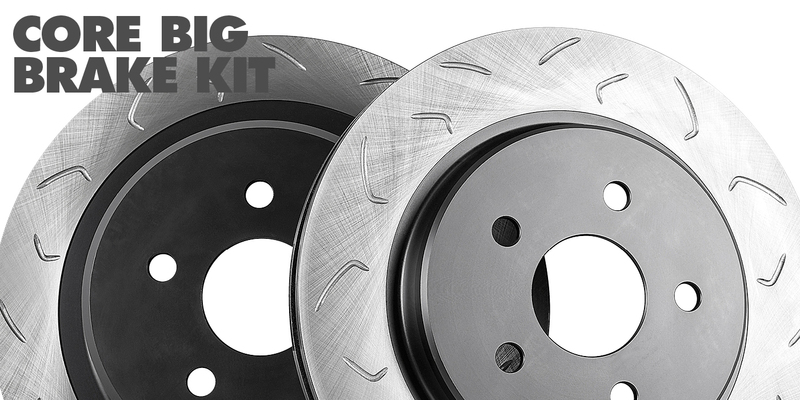 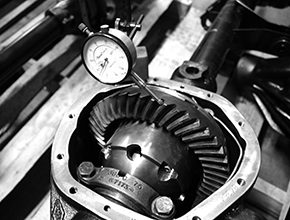 The oversized rotors allow for more surface contact with the brake pads, and have curved slots for an aggressive initial bite which allows for even distribution of work and heat. 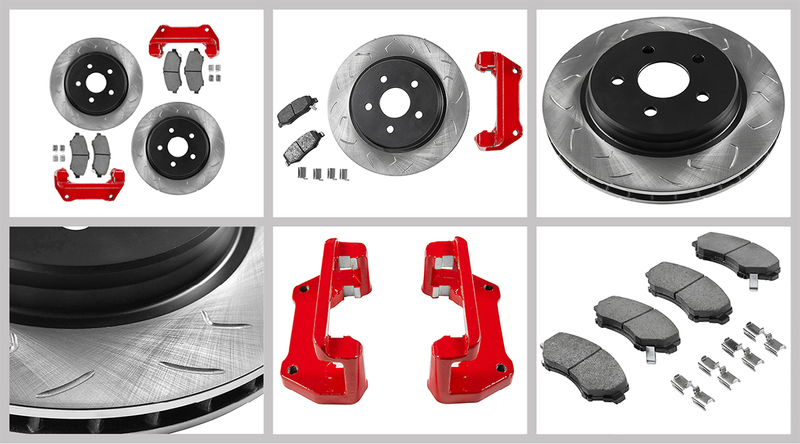 The Rock-Biting brake pads are rotor friendly and dyno tested for maximum performance and service life.